During the month of April, MAC Maja Arte Contemporanea will host the collective exhibition The Beyond and The Other. The exhibit brings together artists Veronica Della Porta, Olivier Fermariello and Gianfranco Toso for the first time; they bring to it six pictures and three paintings respectively. In Della Porta's black-and-white photographs the bustle of daily life takes a step back and gives way to the silent, vibrant presence of architectural shapes. All superfluous details are expunged, while the artist sheds light on the details of the buildings by process of elimination. The meticulous choice of materials, including the specific photographic paper used for the prints, which are printed in a single run, extols the images, rendering them comparable to drawings on paper. 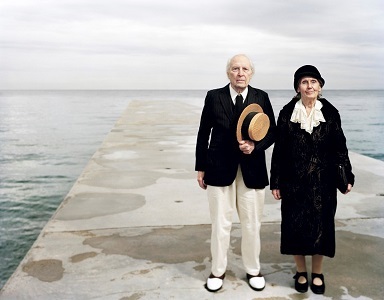 In the shots from his series Air de Famille, on the other hand, Fermariello draws his inspiration from family portraits taken in the early twentieth century. The complicit relationship, at one time formal and intimate, that connects the photographer to his grandparents gives him the emotional grounding to push the camera beyond its limits and find new energy in the images. In them the beyond and the other jump to the foreground annihilating time and space. 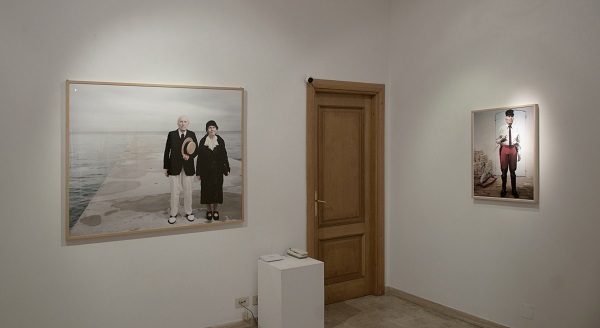 By staging the portrait and playing with a particular notion of Otherness, the photographer merges the differences in his roots - he is French-Italian - and regenerates the family album. 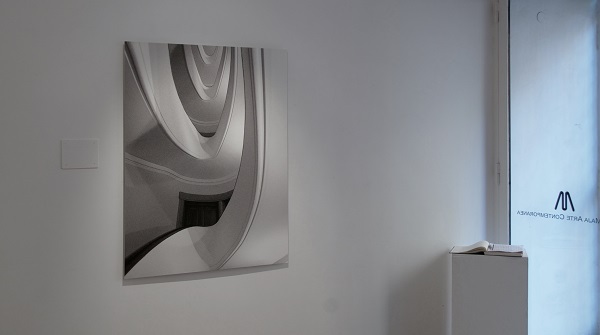 On his part, Toso views the creation of shapes as the tension towards a metaphysical and imaginative dimension. 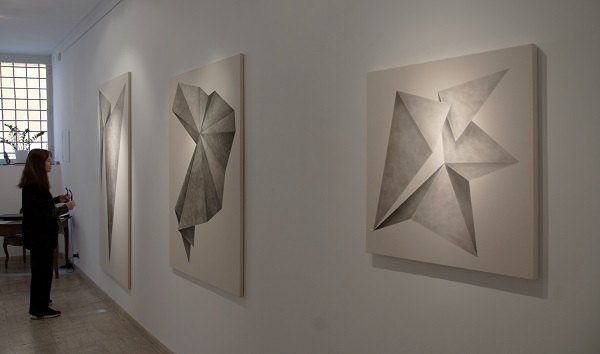 He uses geometric shapes to do so, and explores their potential to act as both concrete measurements and shapes evoking transcendental contemplation. Such shapes, which are not immediately perceptible, can only be experienced through an inner awakening. The precise and pure relations at play among all the shapes, instead, seem to outline an idea of perfection that lies - mute and absolute – beyond the bounds of this world. VERONICA DELLA PORTA was born in Modena in 1964. She lives and works in Rome. She is a set and costume designer and she has worked with several artists (among whom Mario Schifano and Isabella Ducrot) before she started her personal projects. Her photographs are predominantly black-and-white digital prints, printed in a single run. Her first solo exhibit at the s.t. 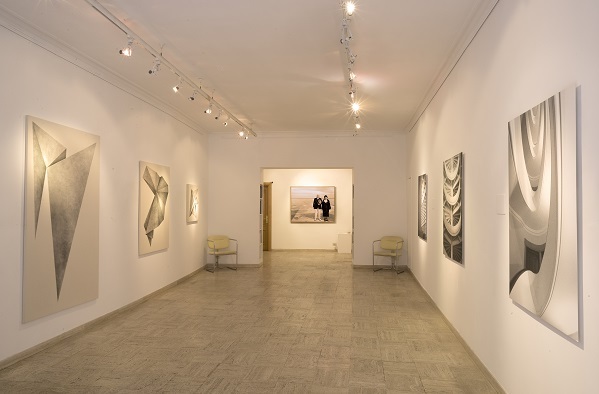 Art Gallery in Rome was curated by Ludovico Pratesi in 2013. Since then, she has displayed her photographs in collective exhibitions and fairs (Rome 2012, Affordable Art Fair; Bologna 2015, Set Up Fair; London 2015, Start Art Fair, Saatchi Gallery). OLIVIER FERMARIELLO was born in Rome in 1975. French-Italian by birth, he has displayed his photographs at international festivals, Museums, and through several solo and collective exhibits (Rome 2005, Galleria Nazionale d'Arte Moderna; Cinisello Balsamo 2007, Museo Fotografia Contemporanea; Milan 2010, Triennale). His works have been awarded honorable mentions in important prizes, such as "Descubrimiento", "Leica Awards", "Bourse du Talent", "Amilcare Ponchielli", as well as having been awarded the Celeste Prize (2009) the ICMA (2014). He lives and works in Rome. GIANFRANCO TOSO was born in Rome in 1980, where he continues to live and work. He studied architecture and worked as an architect for a decade; as he did so, he also began to use drawing, painting and incision to investigate the specific nature of constructed shapes. 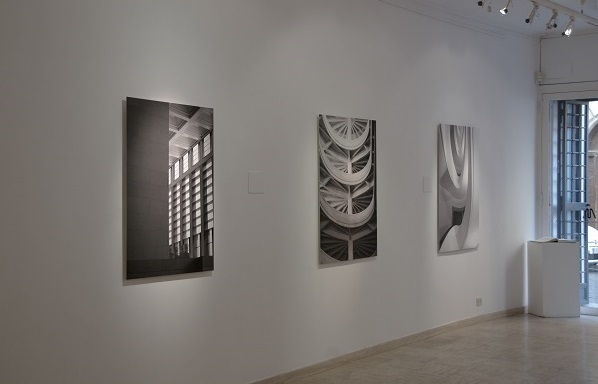 His interest in the theories and profound implications of the creation of volumes in space has brought him to abandon the practice of working on architectural projects and to investigate a more metaphysical approach to shapes. He uses the creation of geometric shapes to try to project a higher dimension with respect to the one experienced through our senses. His work has been on display at the Istituto Centrale per la Grafica, the CIAC Museum, and Rhode Island School of Design.